The Strada is equipped with the fantastic Shimano Steps motor system, which is quicker off the mark that some of the other systems in our range so it's great for pulling away from the lights at speed or conquering hills quickly. The key to the Shimano STEPS system is the integration of the gears, motor and controller to produce a quiet, powerful and efficient riding experience and the new large Shimano computer provides you with the information you need to enjoy your ride. For the Strada Electric we have combined the STEPS motor with Shimano's Alfine Di2 electronic hub gear, allowing you to shift gear using buttons rather than levers for a fast, smooth and precise change. This system also gives you the choice to set the bike to automatically shift gear based on the speed you're travelling and how fast you are pedalling to make sure you are always in the right gear. Torque, speed and cadence are monitored to automatically and smoothly shift to the right gear. The 400wh battery boasts a range of between 40 and 125km* dependent on the level of assistance selected. Good looking and practical, the Pioneer's styling is inspired by classic Raleigh bikes and delivers these elements in a modern way. 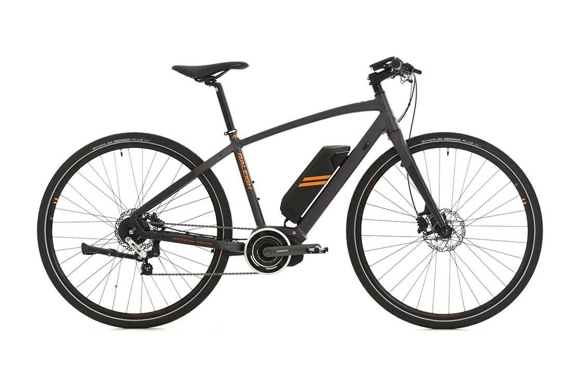 The Pioneer has been a staple in the Raleigh range for many years and continues to be a favourite, so the addition of a TranzX motor just makes it even easier to get around. The Aluminium frame has been designed to be lightweight and feature a comfortable upright riding position with relaxed frame geometry. 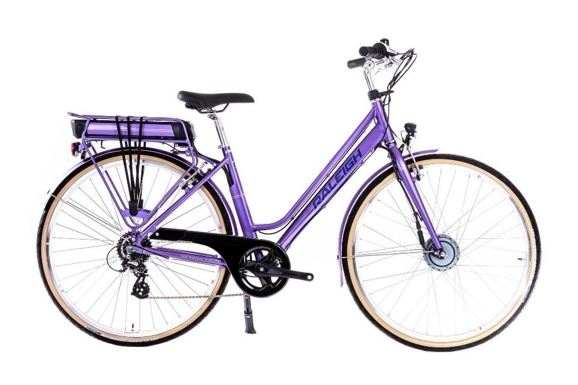 A fully equipped bicycle featuring a kickstand and colour matched mudguards and rear pannier rack so that you can be kitted out for whatever the journey throws at you. Finished to a high standard with matt metallic finish paint with the classic Pioneer 'pinstripe' in silver and fitted with a comfort Selle Royal saddle which has plastic scuff guards on the sides to prevent damage.